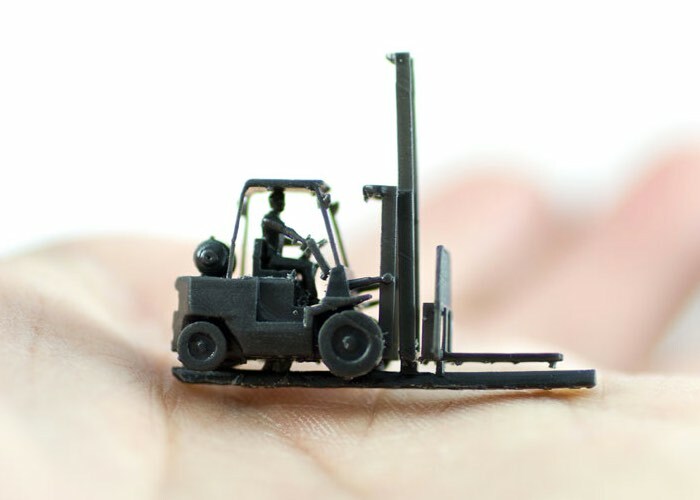 If you are looking to create some seriously small high detailed 3D printed objects you might be interested in a new material that has been made available by the Shapeways 3D printing service in the form of their new High Definition Acrylate. 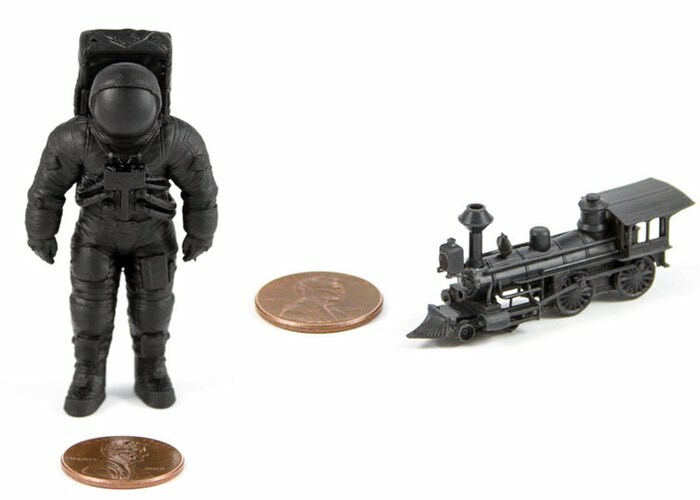 As you can see from the images the High Definition Acrylate is capable of creating highly detailed yet tiny reproductions of your designs and offers a smooth surface with high detail and a crisp finish and is ideal for detailed miniatures such as model trains, and other intricate designs and objects. High Definition Acrylate is made of a photo-reactive resin. It is printed using Direct Light Projection (DLP) technology which provides excellent resolution and accuracy. It is capable of fine details and is therefore ideal for miniatures and models trains. Additionally, the DLP process produces a smooth surface, making it well suited for painting. The material is heat resistant up to 120°C and is printed at 50 micron layer thickness. The color ranges from matte black to a dark grey charcoal. Printed using DLP technology, the process uses visible spectrum light to cure the liquid resin one layer at a time. A resin bath sits above a high resolution projector which projects cross-sectional images of your model onto the resin above. The resin cures with exposure to light, curing an entire layer with a single pass. The build platform raises and this process is repeated for each layer, slowly building up your model. Support structures are generated to secure your model to the build platform, prevent warping and reinforce overhangs and other complex features. When printing is finished, we remove the models from the build platform and clean them from any residual uncured material left on the models. The models are then post-cured by UV. Once the models are fully cured, they are removed from the oven and the support structures are removed.